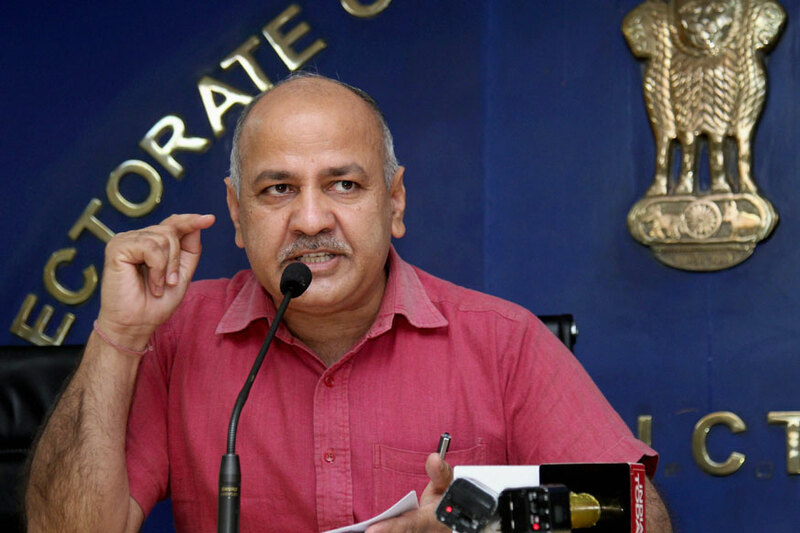 New Delhi, Dec 3: Delhi Deputy Chief Minister Manish Sisodia on Saturday wrote to BJP President Amit Shah, challenging his party to compare the work done by Aam Aadmi Party in the field of education here with any state ruled by BJP through a survey by an independent agency. He wrote a similar letter to Congress Vice President Rahul Gandhi making the same challenge. In the etters, Sisodia, who holds the Education portfolio, wrote that he felt "good" that both BJP and Congress raised the issue of education "in the middle of politics of religion, which spreads violence and divides the country in the name of gauraksha (cow protection), Janeu (sacred thread) and Padmavati". His remarks come in the wake of criticism that his government received from the opposition on its performance in the field of education among others. State BJP chief Manoj Tiwari on November 24 said that Chief Minister Arvind Kejriwal failed to deliver on his poll promises that he would improve education, while Congress' Delhi unit President Ajay Maken also slammed the Delhi government, saying the number of students and its results have gone drastically down in last three years. "Only Delhi spent one-fourth of its budget on education, held elections for school management committees and sent teachers and principals to Singapore and Cambridge, wrote Sisodia. "Choose any state that has been ruled by your party for the past 10 to 15 years and let an independent agency conduct the survey to compare what has been done in the government schools of that state in the last two and a half years with the initiatives that AAP has taken in his rule in Delhi," he said in his letters. "This kind of a competition in the field of education will be beneficial for the country and its democracy. Not only wil the students benefit but also will other parties get to learn. "The ongoing discourse in the country on unnecessary issues will shift to the important subject of education, and health," he added. The letter to the BJP President also said that his party has been ruling the municipal corporations in Delhi for the past 15 years. "A survey by an independent agency can also tell where they stand." On Wednesday, Sisodia had challenged the state governments led by BJP and Congress to compete with his state's education "revolution".